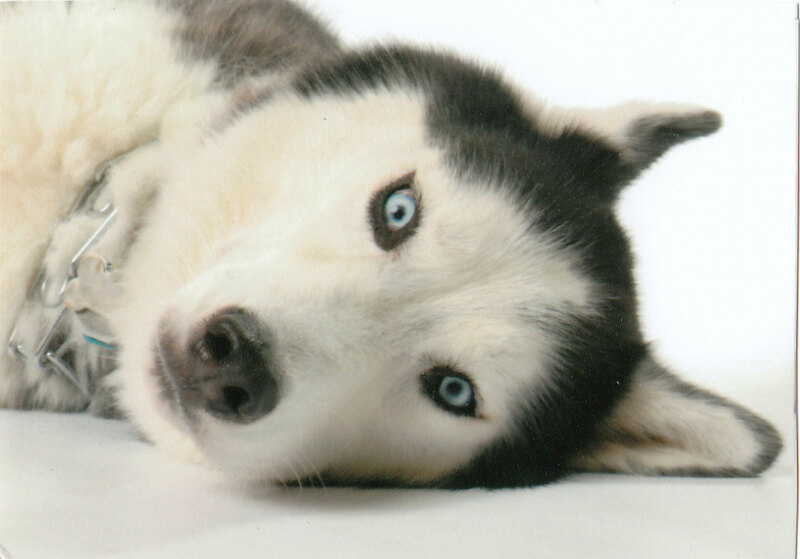 Come read about the adventures of a very gorgeous very mischevious husky named Quincy who resides in PA. Along with my mum, dad and 3 bipeds. 5 ferrets, a cockatiel, a guinea pig, a rabbit, 2 gerbils, a hamster, 5 rats, hermit crabs and a boat load of fish. Name game closure & Peanut. . .
Been a while. Things are good we just been busy. Having a problem getting the mum to post for us. We stole her and made her post this little update. Anyways we are all doing well today -- It's SUPER HOT here today. We are sucking up the air as mum says. But its nice. Anywho we wanted to tell you all that mum did pick a name for our newest memeber(s)... Yes memebers. The amputee -- Who the name game was for was named Lily. Because mum liked the idea that lily pads can grow up outta ugly ponds and what not. An how people can still find beauty in them just like she saw in her. So her name is now Lily and shes awesome -- Still a little nervous but shes almost fully recovered as far as her missing tail is concerened. She is no longer on meds for it or the pain. An she no longer is spraying urine on people when u touch her. She is also starting to trust people other than mum. So all is well - pics of her are forth coming. On another note -- We have another introduction -- her name is Peanut - She is a dumbo hairless rat. Mums first hairless -- Mum fell in love with her instantly so she came to live with us. I don't know about cute but she is pretty sweet. . . I will leave the "Am I cute ? to all of you. What do you all think??. . .
Name game --- Everyone plz play along! Ready to play along. I will fill you in on the details first. Mum and Dad are adopting a special needs rattie girl. She is an albino (meaning she is white with pink eyes). She was severely injured and has only a smidgen left for a tail. Her tail was very badly injured by a MORON and had to be amputated. So mum and dad were asked to adopt her and happily jumped on the opportunity. Apparently she is "mean" and bites everyone but mum had no problems handling her or giving her meds. So when she gets a clean bill of health from the vet and is off her meds she is to become a fur-ever part of the zoo crew. So we are holding a game to help us name her. So give it your best go leave your suggestions in the comment section and the winner will be announced and will receive a special prize from us the zoo crew. :-) Let the games begin!! . . . Tip is to remember she is a girl and mum likes unique and different names. Don't mean you have to suggest unique names just a thought. .
Talk about remembering -- Yeah well this past weekend/week have really been about remembering. Not only did this past week take our beloved Candy Kisses from our mum-mum & pop-pop. But the Zoo Crew suffered two huge blows. Nova (the last remaining outta mum's original 4 ferrets) and Ducky (Cera our rats mum) both crossed over the bridge. :-( Hence why we've been so scarce. Aside from that the humans and bipeds of the family have been sick and puking. YUCK!! So yeah its been a very rough week for all us here at the Zoo Crew. :-( Please just bear with us while we try to get through this virus as mum is calling it. Whatever that is -- An the loss of our beloved friends. . . God Speed Nova & Ducky. . .
Hey fellow bloggers. Quincy here head of the "zoo crew". As a few of you have seen we had to say good-bye to a family member yesterday. Mum-Mum & Pop-Pop had to help Candy Kisses cross over the bridge yesterday morning. She has been with our family for a very long time and she fought a very good fight. But unfortunately the medications she was on for her heart unfortunately stopped working. Thus allowing the fluids to fill up in and around her heart and lungs. She was as the doctors explained to my mum and my mum-mum & pop-pop drowning in her own fluids. They said they could have done things to "prolong the inevitable" but it was only doing that and would cause her a great deal of pain. So the decision was made to free her of her pain and help her on her way to the bridge. So our sweet Candy Kisses is no longer hurting and is with all those who went before her. Playing happily and free from her pains and worries once again. I thought it was befitting to take today to remember some of our family's fur-kids who have crossed over the bridge. So I have composed a few pics -- May they all rest in peace and know how much they were and are loved and cherished and know they are not forgotten. . . .
First Mum & Dad's Jack Russell Terrier, Lucky. Whom mum rescued from a man who kept him in a crate that was 2 sizes too small for him. . .
Mum's Chinchilla Tigger. . .
Mum & Dads first two ferrets Romeo and Juliet. . .
Last but not least Candy Kisses & Peaches & Creme. .
May they all dance among the stars and know they are loved and missed. This week will probably be a week for remembering all those who have gone. Please bear with us during these trying times. Thank you all. . . Go be happy, healthy and young again. Dance among the stars and be with Peaches and Nanook. Until we can be together again my dear. Obviously I am a gorgeous black and white siberian husky. Or as my mom likes to call me her blue-eyed beauty. I am a rescue dog from Harnessed to Hope Northern Breed Rescue (HTHNBR). My mommy (& daddy)adopted me after having to help my baby sister Nanook cross over the rainbow bridge. I love my fur-ever home and just wanted to put a HUGE woooo-wooo out to HTH for helping me find the perfect home!! 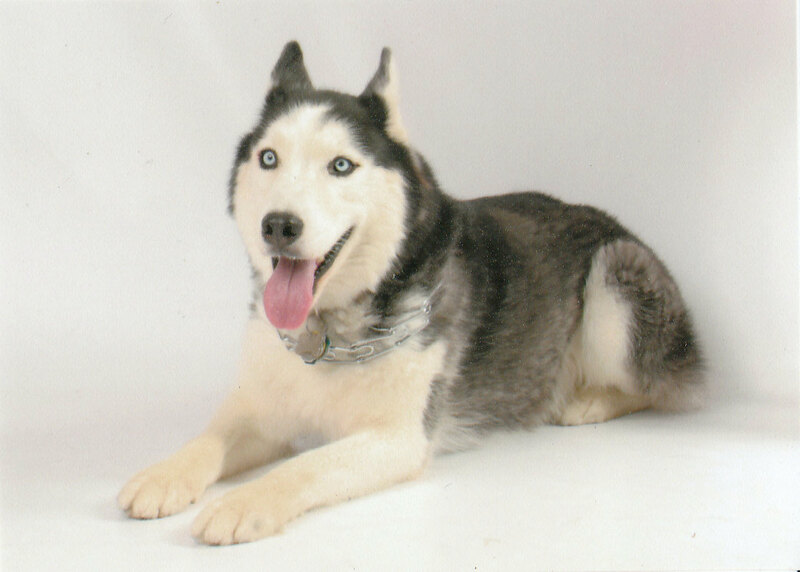 Mapaw Siberian Husky Rescue & Referral Services, Inc.